Add one Dilmah Holy Basil, Ginger, Lemongrass & Lemon Infusion tea bag to a glass of hot water, rest for 5 minutes, remove tea bag and allow to chill. 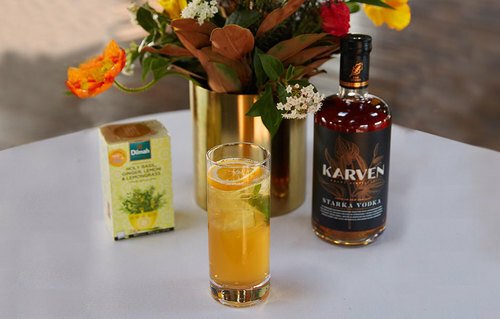 Pour the Karven Starka vodka and chilled tea over the ice. Top with ginger beer and garnish with a slice of lemon and 3-5 basil leaves.